exceptional movement and outlooks, a rare find in all aspects for the rider and breeder. Correct, lovable character and easy to handle. A real eye catcher. Cremello WB colt, Born 2014, to mature about 16.1 hh. Great jumping Pedigree but has also great lofty movement. Very nice character, 100% correct body and leg conformation. Lots of flashy White markings. A great stallion and/or sport prospect. Cremello Warmblood stallion of excellent quality. Born 2010, about 17 hh tall. Very easy to handle, great rideability. Successful in eventing and jumping. Fully main book approved with AES, his foals can get papers of AES, NRPS, Z, KWPN A Register, sBs, BWB etc. Also recently preformance tested and approved for Deutsches Edelblutpferd. Priced according to Quality and achievements. Beautiful, outstanding and rare Black and White Arabian purebred stallion. Hottie was born in 2009, he has perfect conformation and is a gorgeous stallion. His first foal has been more than what we expected. The black and white filly on our sales page of the 2014 foals. He has very good movement and he is also a great jumper. 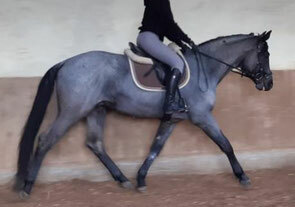 He is about 14.3 hh (150 cm) and has an excellent pedigree. 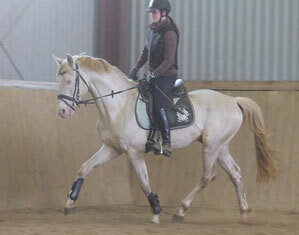 born 2009, about 16 hh, gorgeous Cremello Warmblood stallion. 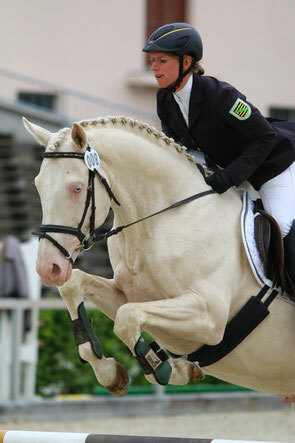 He is life time licensed by the Royal Belgian Palomino Association. His foals can get papers of many WB organisations. Outstanding movement. Great pedigree! Buckskin tobiano Warmblood stallion, Born 2007 and about 17 hh tall. He is a rare find in very way. Top rare Pedigree in the tobiano WB world, great movement, great jumping and an extraordinary lovely character. His foals are all of exceptional Quality, Beauty and with great movement. Approved and Performance tested and a perfect outcross to any tobiano WB lines. Priced accordingly.